Definition at line 4003 of file xmlstorage.h. Definition at line 4005 of file xmlstorage.h. Definition at line 4012 of file xmlstorage.h. Definition at line 4077 of file xmlstorage.h. 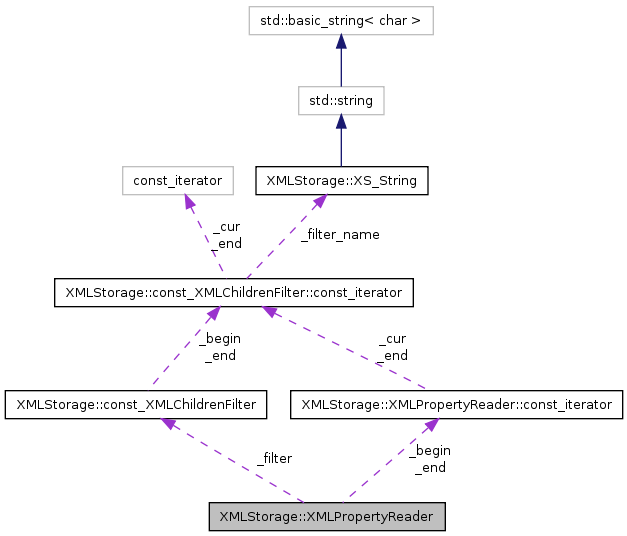 Definition at line 4087 of file xmlstorage.h. Definition at line 4082 of file xmlstorage.h. Definition at line 4095 of file xmlstorage.h. Referenced by begin(), and empty(). Definition at line 4096 of file xmlstorage.h. Referenced by empty(), and end(). Definition at line 4093 of file xmlstorage.h.